Hamsters vs Rats: Which is the Right Pet for You? Hamsters are one of the most sought after pet when people buy rodents, but over the years rats have become increasingly popular. When I was a kid I had a pet hamster, and my brother had rats, so I am a fan of both. 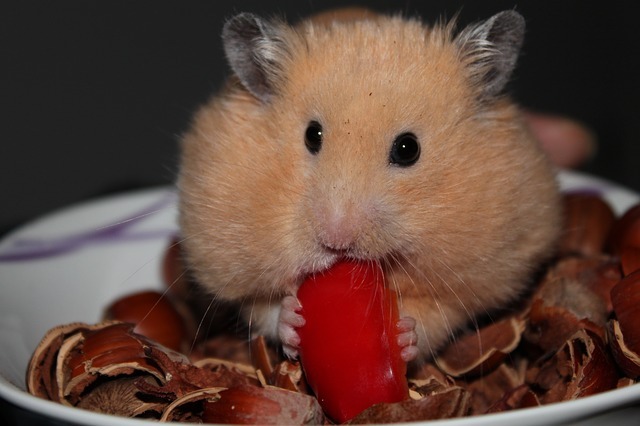 I think the best thing about hamsters is their cheeks when they are stuffed full of food—which can expand to double their size when filled. On the other hand, rats are just plain fun to watch because they are so playful. But what are some other key things to consider if you are debating between getting a rat or a hamster? Starting out, rats tend to be more expensive because they are more active and playful than hamsters are so they require a larger enclosure. Rats are also very social creatures so if you want yours to be happy you should buy at least two. 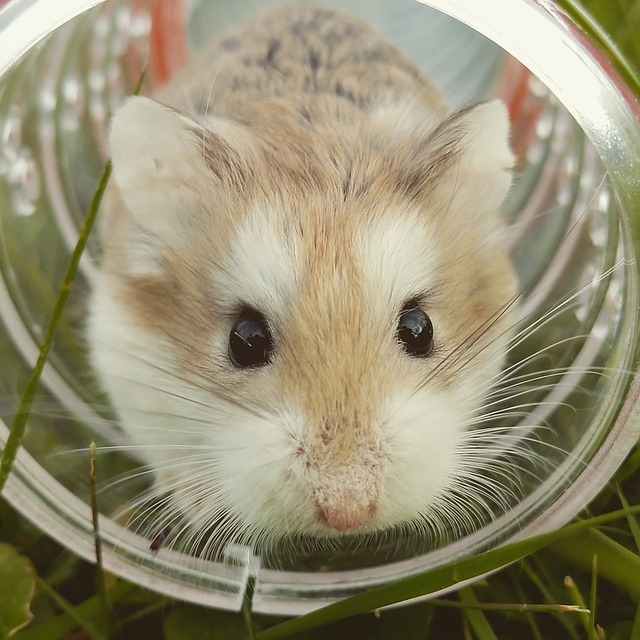 Hamsters can live in a smaller, and cheaper, enclosure, and really just require tunnels and a wheel for exercise. They are also more private and territorial so they can be aggressive with other hamsters. Both hamsters and rats have ever-growing incisors that are designed for nonstop gnawing; a rat will even gnaw on things like concrete and lead. It’s important to keeps lots of gnawing and chewing materials available so their teeth do not grow too big. Rats are also very intelligent and require more toys than a hamster would. Unless handled frequently when they are young, hamsters tend to squire around while being held. Between the two, hamsters tend to be grumpier and are more likely to bite—especially the smaller breeds. Hamsters don’t enjoy being woken up during the day. They are nocturnal and tend to be cranky during the daytime, which could lead to biting. They also have very poor eyesight and can mistake a finger for a treat. Rats can bite as well, but they tend to only bite when they’re hurt or scared. Rats are very intelligent, social, and enjoy human interaction. In fact, they are more likely to let you handle them than hamsters. They are able to learn tricks and even recognize members of the family. They’re also very affectionate. They are physical and require a sufficient amount of time daily to run around outside of their enclosures. Rats require more commitment than hamsters do. Take into consideration whether you want a nocturnal friend who is very active at night. Like hamsters, rats are nocturnal as well but sleep in short bursts so they will also be awake during the day. Whether you choose a hamster or rat you’ll probably want to keep their enclosures in a room where you won’t hear them at night. Both rats and hamsters have a short life expectancy. Rats live around 2 to 3 years, and hamsters live 1 ½ to 2 years. It is important to check on your rat or hamster daily for signs of illnesses because they are so small that it is sometime difficult to tell when they are sick. Both can suffer from respiratory infections that can lead to pneumonia. Signs include frequent sneezing, discharge from the eyes or nose, wheezing, and labored breathing. Sudden temperature change and certain bedding, cedar and pine, can cause this respiratory infections. Rats can easily pass it to one another. Immediate veterinary care should be provided if you feel your rat or hamster is ill. Rats, mostly females, are prone to tumors as they age. They are usually located in the groin or armpit. Avoid feeding your rat a diet that is high in fat. The tumors are often benign and do not require any action unless they hinder movement or develop into an ulcer. Hamsters can suffer from a condition known as wet tail. It is a bacterial disease often cause by issues such as stress, overcrowding, and dietary changes; which is why recently weaned hamsters are prone to it. It is highly contagious to other hamsters and they can die very quickly if left untreated. Symptoms include diarrhea, loss of appetite, fatigue, and a ruffled coat. When choosing a hamster or a rat try to consider which would better fit your lifestyle. 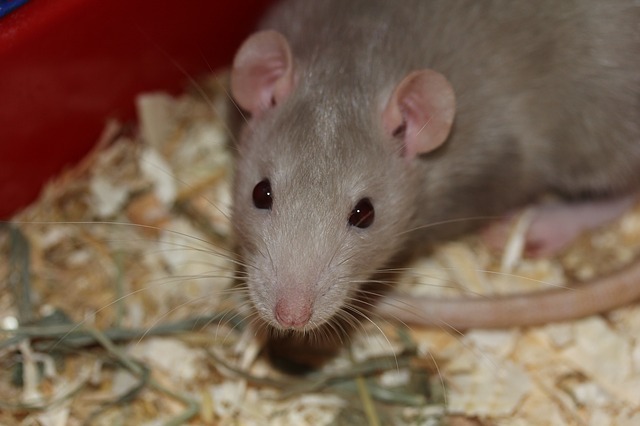 Rats require more of a time commitment because of their intellectual and social needs. If you want to get a starter pet a hamster would require less work and be perfect for a beginner. Plus, if you buy a baby hamster and handle it regularly it will be more prone to being held—in the evenings of course. No matter which one you choose, both are great pets!